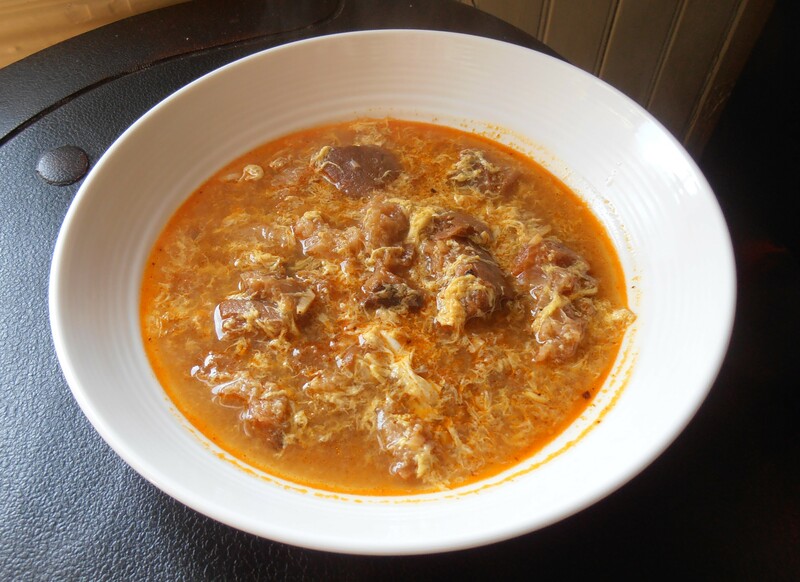 Basque Garlic Soup | Red Wine, White Wine, Fine Food Too! This recipe comes from the January 2019 edition of Food & Wine Magazine, and it meets both my requirements: easy and incredibly flavorful. So, here you go! 1. Preheat oven to 450 degrees F. Place baguette on a baking sheet, and toast in preheated oven until very browned and almost burnt. 20-25 minutes. Remove from oven, and let cool. Break or slice bread into 2-inch pieces. 2. Heat 7 tablespoons oil in a large pot over medium-high heat. Add bread pieces, and reduce heat to medium. Cook, turning often to allow bread to toast and soak up oil, until golden brown, about 2 minutes. Remove bread, and set aside. Wipe pot clean. 3. Add garlic and remaining 1 tablespoon oil to pot. Cook over medium-high heat, stirring constantly until garlic is golden brown. 30 seconds to 1 minute. Stir in paprika. Add broth and salt; bring to a boil. 4. Add bread to pot. Reduce heat to medium-low, and maintain a simmer. Add vinegar. Cook, stirring occasionally to break up bread until flavors meld, about 25 minutes. Taste and add salt if needed.